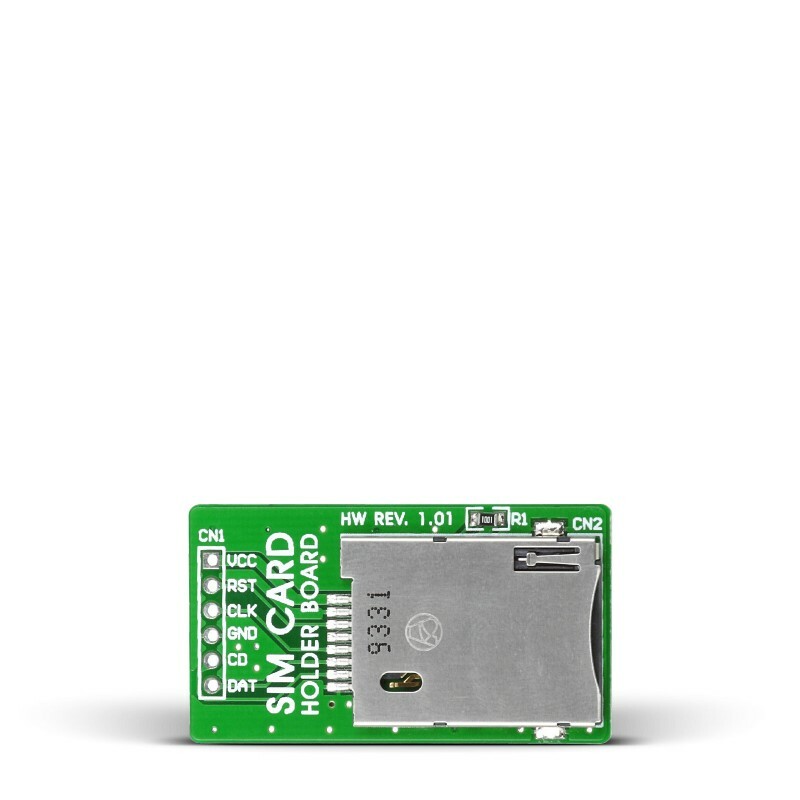 The SIM Card Holder Board enables you to connect a prototype device to a SIM card. Connection can be established in a few simple steps. The board solves your prototyping problems by offering a complete and cost-effective solution. The SIM Card Holder Board is a breakout board for the SIM card socket. It enables you to connect a prototype device to a SIM card. It features connection pads in 2.54mm distance, compatible with standard breadboards. Rich in silkscreen markings and compact in size, the board solves your prototyping problems by offering a complete and cost-effective solution.